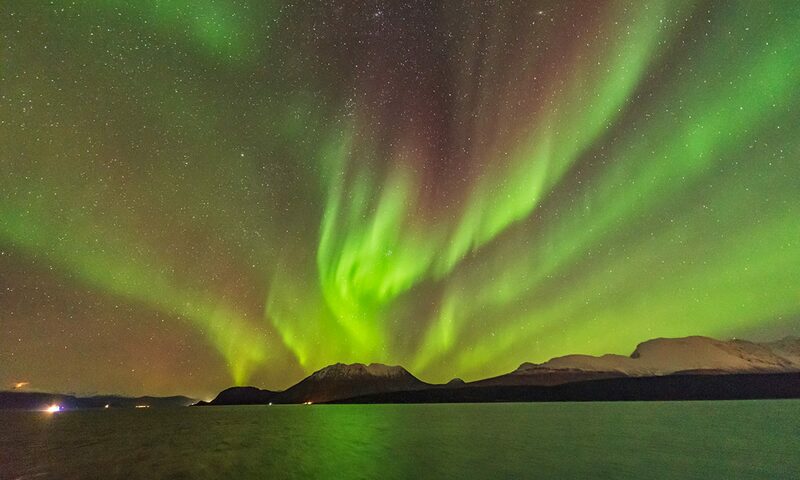 Look straight up on a summer night in the northern hemisphere and you are looking into this region of sky. 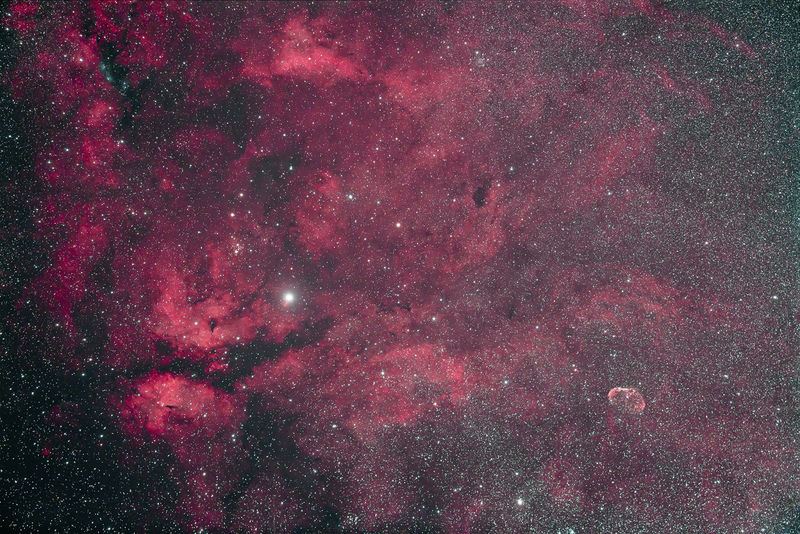 This is the centre — the heart — of Cygnus the swan, marked here by the bright star called Sadr, or Gamma Cygni. While the star is easily visible to the unaided eye, the glowing clouds of gas surrounding it are not. Only long exposure images reveal the amazing swirls of nebulosity in the middle of Cygnus. The main cloud at left, split by a dark lane of dust, is catalogued as IC 1318. The little crescent-shaped nebula at right is NGC 6888, or more appropriately, the Crescent Nebula. It formed when a hot giant star blew off its outer layers, to add to the general melee of hydrogen and other elements. But note the little blue reflection nebulas at top left. Oddly out of place! New stars are forming in this region, located about 1500 light years away down the Cygnus arm that we live in, in the Milky Way Galaxy. This field can be framed nicely by binoculars or a low-power telescope, but only the brightest bits of this nebulosity will show up in the eyepiece as grey ghosts, and then only with the aid of a specialized nebula filter. I took this shot on Saturday night, July 30, 2011 with the Borg 77mm f/4 astrograph lens and Canon 5D MkII camera. Other stats are similar to the previous blog post. It’s certainly my best shot of this area of sky.